It’s finally here, our first glimpse into the next chapter of the Star Wars saga. With the release of the teaser for Episode VIII: The Last Jedi, fans are given a small glimpse into what to expect this coming December; but though it’s short it’s definitely intriguing and raises some questions that everyone will have to wait to have answered. Much like the teasers/trailers for The Force Awakens, we are given very little information as to what will be happening in the film. The only difference is that this time around we know the characters and can postulate a little bit better what could end up happening. Besides our recognition of Rey, Kylo Ren, Poe Dameron etc., this teaser doesn’t make a whole lot clear to us. But what a great hook the filmmakers have made! It seems obvious from the footage that Rey is in a training of some sorts with the newly found Luke Skywalker. Reminiscent of when he was on Dagobah learning with Yoda, we hear Luke telling Rey to breathe and asking her what she sees. Remember that Luke had visions of Cloud City, perhaps Rey too has a premonition? Does she leave Luke prematurely to fight Kylo Ren, as Luke did to face Vader? If this film follows the formula of the ‘dark middle chapter’ then can we compare this to the Empire Strikes Back? Rey mentions the light, the dark and the balance of the Force; is there more to the mystical entity that Luke has learned while in isolation and can we learn more about it? We also briefly see some new speeders/fighters, though it is unclear if they belong to the Resistance or the First Order. Poe is seeing running with BB 8 while Finn remains unconscious after his fight with Kylo Ren (though I’m certain he’ll wake up within the first ten minutes or so of the movie). A fiery scene appears in what could be a vision of Kylo Ren’s, but it still remains unclear. In the end of course what many people are most curious about is the title, the Last Jedi. What does it mean? Luke is heard saying that it is time “to end the Jedi”, but this can be interpreted in different ways. Perhaps Luke wants to start a new order, a starting anew sort of thing with a new philosophy. And is there an actual Last Jedi? Is it Luke, or Rey? Or is it both since Jedi can also be plural? Maybe he wants to find a middle ground for other Force users and have a more inclusive umbrella then the former Jedi Knights? A flashback or perhaps an ominous vision? More will be revealed as we see a lengthier trailer, but for now, questions remain that will keep us in eager anticipation of the next preview. While we still know little plot-wise, the little we learned in this teaser will keep fans on the edge of their seat. It’s clear though that the Force is strong with this one. One would assume that the majority of the film will be Rey training with Luke which means that we should be seeing more on the Kylo / Snoke side of things for the off island material. 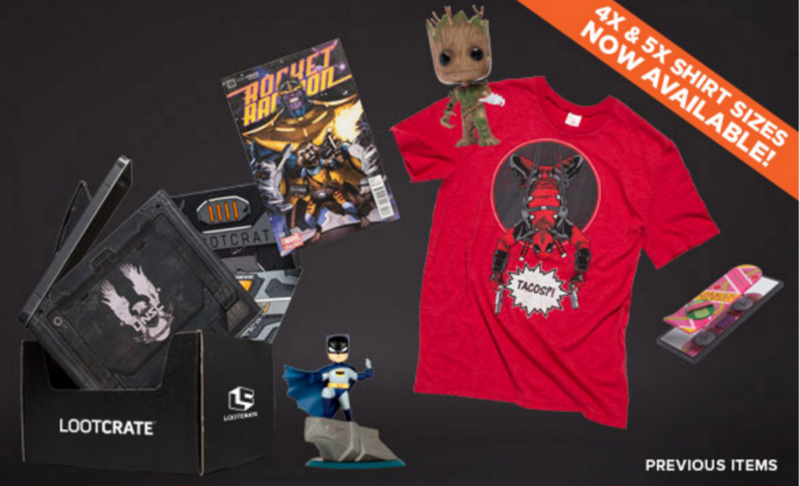 If you like Star Wars, comics or superheroes, Be sure to check out our friends over at Loot Crate where they deliver a box of pop culture goodies right to your door. Answering Some of Your Questions, Including My Personal Favourites. M-I-C-K-E-Y M-O-U-S-E. Celebrating the legacy of Mickey Mouse who turns 90.